Soroptimist International of Raleigh, NC honors Dr. Lisa Tolnitch for her dedication to the health of women fighting breast cancer. 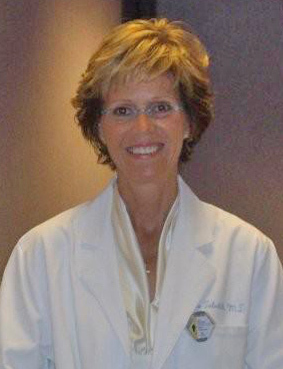 April 13, 2010 (RALEIGH, NC): Dr. Lisa Tolnitch, a Raleigh breast cancer surgeon and the founder of Pretty In Pink Foundation, was named a 2010 Soroptimist Ruby Award: For Women Helping Women recipient. This annual award, to be presented by the Raleigh Club of Soroptimist International at their annual Triangle Women of Distinction Awards Celebration, honors women who are doing extraordinary work, either in their vocation or through volunteering. The Soroptimist Ruby Award recognizes the work these women are committed to doing that directly improves the lives of other women and girls, both in their communities and beyond. Dr. Tolnitch, principal at Tolnitch Surgical Associates, founded Pretty In Pink Foundation in May, 2004 as a resource for breast cancer patients who needed immediate access to care, treatment and surgical options, but had no means of paying for the life-saving services. A non-profit organization, Pretty In Pink Foundation provides financial assistance, resources and support to under & uninsured North Carolinians diagnosed with breast cancer. By 2020, Dr. Tolnitch and the Pretty In Pink Foundation Board of Directors hope to establish a point of presence in every state in the US . Soroptimist Ruby Award winners receive a recognition plaque at the annual award event, as well as a check for $500 toward the charity of their choice. The award ceremony will be held in Raleigh at The Fallon Center, located at 2718 Overbrook Drive on Wednesday, April 14th. The opening reception, which includes a silent auction, heavy hors d’oeuvres, dessert & wine, begins at 6pm. The awards program begins at 7pm. Each of this year’s award winners will speak briefly about their work. The event is free and open to the public, however a suggested donation of $20 per person to attend is encouraged. This year’s keynote speaker is Dr. Maureen Hartford, president of Meredith College. Sonya Williams, host and producer of Fox 50’s “Tarheel Talk,” will serve as the Mistress of Ceremonies. For more information on Soroptimist International of Raleigh, visit www.soroptimistraleigh.org. For more information on Dr. Tolnitch and Pretty In Pink Foundation, visit www.prettyinpinkfoundation.org. Pretty In Pink Foundation is a 501(c)(3) non-profit organization that provides financial resources for uninsured and underinsured North Carolinians who are diagnosed with breast cancer and have limited financial means. Founded in 2004 by Dr. Lisa Tolnitch, a breast cancer surgeon, Pretty In Pink Foundation is positioned to have a point of presence in every state by 2020. Committed to providing hope, health and healing, Pretty In Pink Foundation has a growing network of healthcare professionals and quality of life partners. For more information on fundraising events, ways to help and how to become a volunteer, visit the website at www.PrettyInPinkFoundation.org, or join the Pretty In Pink Foundation Fan page on Facebook. Founded in 1921, Soroptimist is an international volunteer organization of business and professional women. The name, Soroptimist, means “Best for Women.” The mission of Soroptimist is to improve the lives of women and girls in local communities and throughout the world. The Raleigh Club of Soroptimist International, chartered in 1987, is a 501(c)(3) organization solely run and operated by volunteers. Locally, Soroptimist is focused on helping women achieve economic independence, ending domestic violence against women and their Triangle Women of Distinction Awards. For more information on ways to help, how to donate or how to become a volunteer and/or member visit the website at www.soroptimistraleigh.org.